Shelomo Dov Goitein (known as Fritz)) was born in Burgkunstadt, Germany to a distinguished German-Jewish family. His father came from Hungary and was descended of a long line of rabbis. Goitein received both secular and religious educations. In 1914, his father died and the family moved to Frankfurt, where he completed secondary school. From 1918 to 1923, he studied Arabic and Islam at the University of Frankfurt under the guidance of the famous scholar Josef Horovitz while continuing Talmudic study with a private teacher. He graduated with a Ph.D. and a dissertation on prayer in Islam. A leader in the Zionist Youth Movement, Goitein fulfilled a lifelong ambition in 1923 when he emigrated to Palestine, together with Gershom Scholem. He first lived in Haifa and taught at the Reali School, later moving to Jerusalem, where he was appointed Professor of Islamic History and Islamic Studies at the new Hebrew University there. He married Theresa Gottlieb, a teacher, and the couple had three children. In 1927, Prof. Goitein wrote a play called Pulcellina about the 12th-century blood libel killings in Blois, France. He founded the School of Asian and African Studies and the Israel Oriental Society. In 1928, he began his research of the language, culture and history of the Yemeni Jews. In 1949, he conducted research in Aden, interviewing Jews gathering there from all parts of Yemen in preparation for being airlifted to Israel as citizens. From 1938 to 1948, he served as Senior Education Officer in Palestine, responsible for Jewish and Arab Schools, and published books on the best methods of teaching the Bible and Hebrew. From 1948, he began his life's work analyzing the Cairo Geniza documents. After deciphering the documents, Prof. Goitein vividly reconstructed many aspects of Jewish life in the Middle Ages in North African countries bordering the Mediterranean Sea. 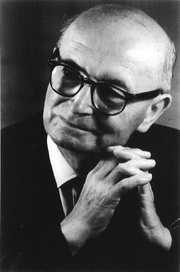 In 1957, the family moved to the USA, where Prof. Goitein felt better able to focus on his work. He settled in Philadelphia and took a position at the Institute for Advanced Study in Princeton. In addition to his histories, Prof. Goitein's lengthy correspondence with his friend, Nobel-prize winning author S.Y. Agnon, was published by his daughter in 2008. S. D. Goitein is currently considered a "single author." If one or more works are by a distinct, homonymous authors, go ahead and split the author. S. D. Goitein is composed of 12 names. You can examine and separate out names.